1. Luke has been wanting to watch Up for awhile but I haven't wanted to because I've heard it will make you cry. A lot. But finally I decided it would be OK. So Friday night we rented it. I don't blame it fully on the movie its also an emotional time of the month, but still it was sad on several levels. 2. Saturday we went and watched New Moon with my (our) good friend Jayma. As expected it was pretty amazing. I have completely and fully sold-out to the Twilight craze and I am ok with it. After the movie I asked Luke "Weren't Jacob's abs amazing?" and he said "I am seriously not discussing that with you." For some reason this picture reminds me of those candid pictures of a reported sighting of 'Big Foot' walking in the woods. I have no idea why. Me and the cute hubs, because we don't have enough pictures of us already. If it looks like Luke is strangling me, its because he is. He was done with pictures. Then I spent some more time playing with this cute little guy and then we said goodbye and headed home. It was a good weekend (minus the movie, Up but New Moon made up for it). 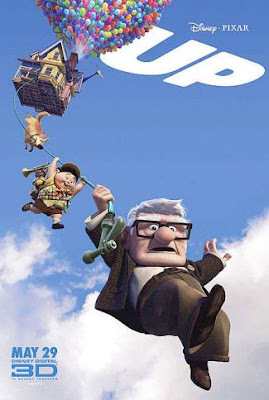 Up is insanely sad... my children love it - but seriously just one of those movies! I tried to warn you! I knew it'd make you cry. I have never seen Up. And since you've joined the dark side (New Moon, duh! ), now I feel obliged to rent it. I Loved new moon! It was amazing!! PS Your hubs kind of looks like he could be in the wolf pack! Sounds like a fun weekend, and thanks for the warning on "Up". I had thought about watching it, and I'm SO glad that I haven't done it yet! I'll talk about Jacob's abs with you! :) hehe! Werent they amazing???? I want to see UP & am afraid of the crying I'll do too!!! I keep wanting to see UP...going to have to rent it. Lord knows I will bawl like a baby, I'm so stinkin' hormonal these days. That pic of you carrying M is hilarious...he's as big as you are, tiny girl! We watched UP this weekend too and I cried but loved the movie! Also, love your new design!! I say it all the time, but y'all are so cute! And, that little Maxton is such a doll. So glad you had a great time visting with your family! 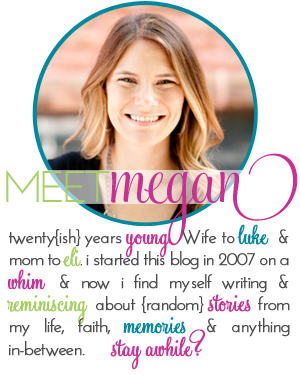 i love the colors and new look of the blog! 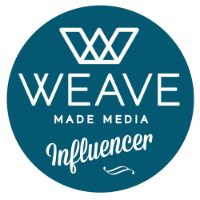 Love the new blog design! Very classy! Don't think I will be watching UP anytime soon! New Moon was so awesome! Loving these pictures! I like the one where Luke is strageling you. I love how guys get "over" pictures. haven't seen Up - and definitely won't now that I know it's sad. Cute photos - i just love pictures! OK, glad to hear I'm not the only person in the world who BAWLED like a baby to up. Seriously the whole time. I haven't seen Up.. Now not so sure I will! I hate crying through movies!! I love that pic where he's strangling you! Those are usually the most fun to look back on! Up! was a sad, sad movie. I just now noticed your signature. I love the "g" in Megan. Both Up and New Moon are on the list of movies to see this holiday weekend! Now I need to get some tissues - thanks for the heads up! And I love that photo of your family, so cute!! AND, I just saw your new blog design! It's gorgeous, very pretty and simple and chic. Your signature with the tree is perfect! oh boy, I'm going to have to prepare myself before we watch it=) Hope you're having a great week so far=)! I haven't heard of Up but I cry at the drop of a hat so I don't know if I can handle it right now! !